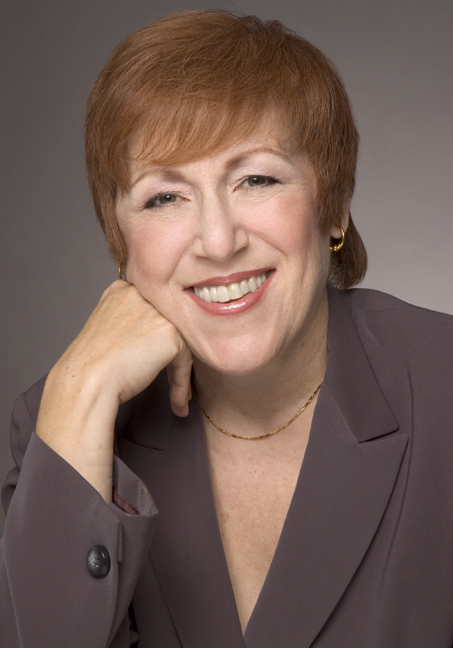 NYU Arts and Science Alumni Blog: A Guest Post by Judy Umlas--"Grateful Leadership"
Today we have a guest blog post from an alumna, Judith W. Umlas (Heights '70), Author, Trainer, and Sr. Vice President of the International Institute for Learning, Inc. (IIL). Judy specializes in strategic and organizational communications, specifically involving leadership in organizations. Judy will be hosting a free webinar next Thursday, March 28, and she is also offering all NYU alumni a free downloadable poster on the 5 C's of Grateful Leadership Acknowledgement. For the link, send an email to judy.umlas@iil.com. Little did I imagine when I was an English major at New York University that I would not only be an avid reader (had to be! ), but that I would become an avid writer – a published one at that! My first experience with being published occurred when I was working at CBS Television, and was one of the few women who worked until the end of their pregnancy. However, I paid a price – my colleagues kept saying the strangest things to me, such as “Did you swallow a basketball?” and worse. 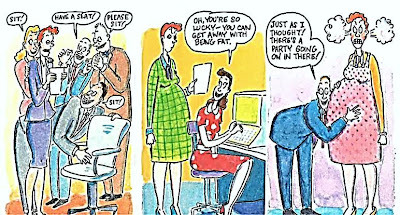 One day I got so angry and upset that I sat down and wrote an article that I called “How NOT to Talk to a Pregnant Businesswoman.” After many rejections of my submission, Working Woman magazine finally bought it, even cartooned it and published it. 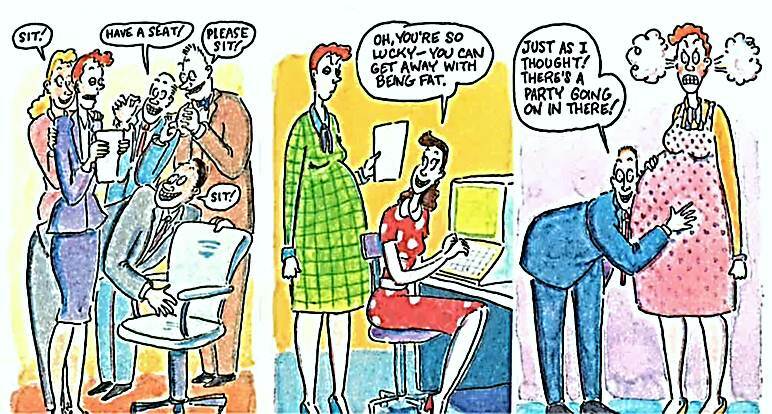 Overnight I became THE expert on communicating with pregnant colleagues, appearing on Good Morning America, about 200 radio stations and in many newspapers. Years later, I felt a similar dismay at the way people responded when I acknowledged them. Usually I got comments like “Thank you for thanking me. No one ever does that” or “I never hear compliments – I only hear complaints.” My colleagues at work seemed equally shocked when I acknowledged them. Finally, I couldn’t take it anymore and recommended to the CEO of the company I had been working at for over a dozen years, International Institute for Learning, that we publish a book called The Power of Acknowledgment. She immediately told me to go for it, and once the book was published, I began designing courses and webinars for project managers, engineers and executives. I was shocked and delighted by the response I got – people seemed hungry for the message. It was almost as if I were giving them permission to acknowledge those important to them. People would even jump out of their seats in the middle of a class and say, “I’ll be right back – I have to go acknowledge my boss.” And they did return, beaming and thrilled with the response they had gotten. I began gathering the incredible stories I was hearing and evidence I was getting on a daily basis that what was wanted and needed in the business world was acknowledgment, validation, appreciation. 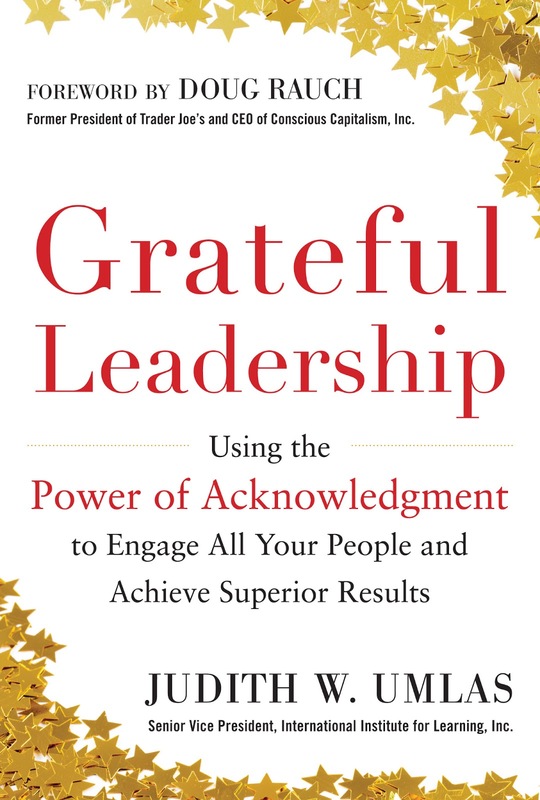 And thus, my latest book, Grateful Leadership: Using the Power of Acknowledgment to Engage All Your People and Achieve Superior Results, published by McGraw-Hill Professional this time, was born (www.GratefulLeadership.com). My travel schedule is now getting wildly out of control (what could be better? ): Among other engagements, next month I am doing a pilot project with a U.S. Army base in Fort Drum, New York to use Grateful Leadership and The Power of Acknowledgment to prevent military suicides; I am doing training for a huge company, Wartsila, in Finland in April, and a presentation to a gathering of 140 association CEOs in Canada in June.